ESA’s Solar Orbiter team have been busy for the last few months preparing for the first ‘Spacecraft Validation Test’ – referred to in engineering-speak as ‘SVT-0’ – which is the first opportunity for the mission control team to establish a data link to the actual flight hardware and send commands to the spacecraft. The mission controllers are working at ESA’s ESOC control centre in Darmstadt this week, joined by representatives from the mission’s two instrument teams, the ESA Project Team based at ESTEC in the Netherlands and the AirbusDS-UK industrial team. The spacecraft itself is located in Stevenage, UK. 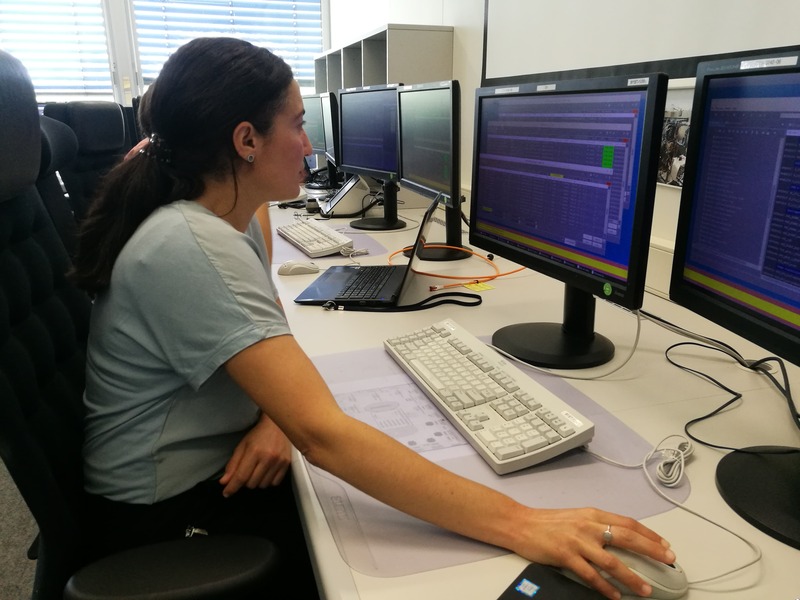 Yesterday and today, the team will validate flight control procedures and the database that describes the commands and telemetry of the spacecraft. It’s a lot of work but at the end of it, a real milestone will have been passed. More tests are planned over the coming months, and next year.